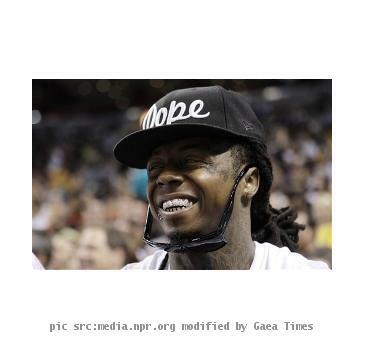 LOS ANGELES (GaeaTimes.com)- After being in the news for all the wrong reasons last year, much-acclaimed rapper Lil Wayne is finally creating a buzz for what he is best known for. The multiple Grammy-award winning musical artist announced the dates for his upcoming tour dubbed as “I Am Music II” which is scheduled to start from the month of March later this year. The forthcoming musical fiesta is going to be a sequel to Lil Wayne’s last tour that was held in 2008 and turned out to be a huge success with a whopping 804,000 fans gracing the event while grossing a staggering $42 million. The press release for Lil Wayne’s tour dates which was issued on Monday revealed that the event would kick off in the city of Buffalo, New York on March 18 and over the span of next few weeks, it would rock the musical scenario of a host of U.S. cities. After touring a number of cities that includes Dallas, Houston, Phoenix, Chicago, Washington D.C., Sacramento, Cleveland, Philadelphia, Atlanta, Baltimore, Columbus as well as many others, it would culminate at the Bamboozle Festival which is held in the city of East Rutherford, New Jersey. However, Lil Wayne is not the only pop icon who would be enthralling the music-lovers at the much-awaited concerts. ‘Young Money’ protege Nicki Minaj, Blink 182 drummer Travis Barker, Mixmaster Mike as well as Miami rap artist Rick Ross are some of the other musical artists who would be gracing the much-anticipated event. For those who surely do not want to miss the tour, tickets would be available for sale from February 4. Jeff Bridges On "Saturday Night Live"